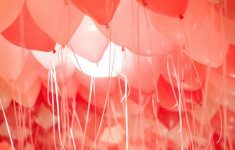 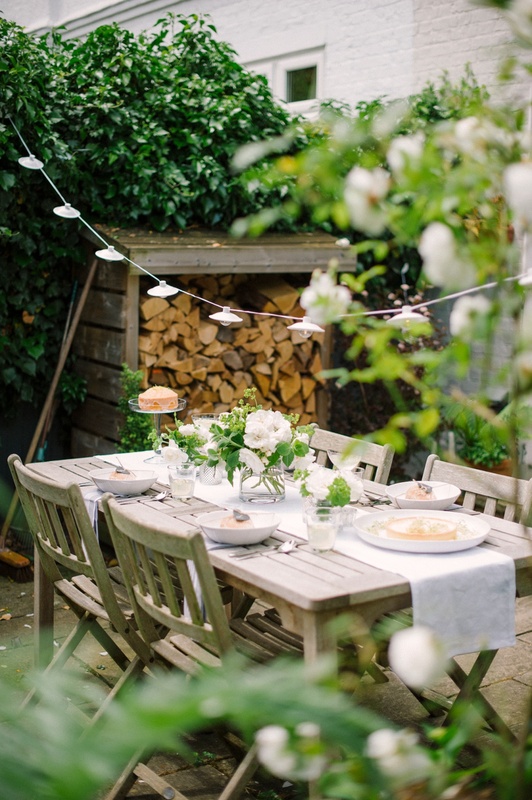 First things first, as with any event the colour palette is the place to start and at this time of year your garden should provide plenty of inspiration! 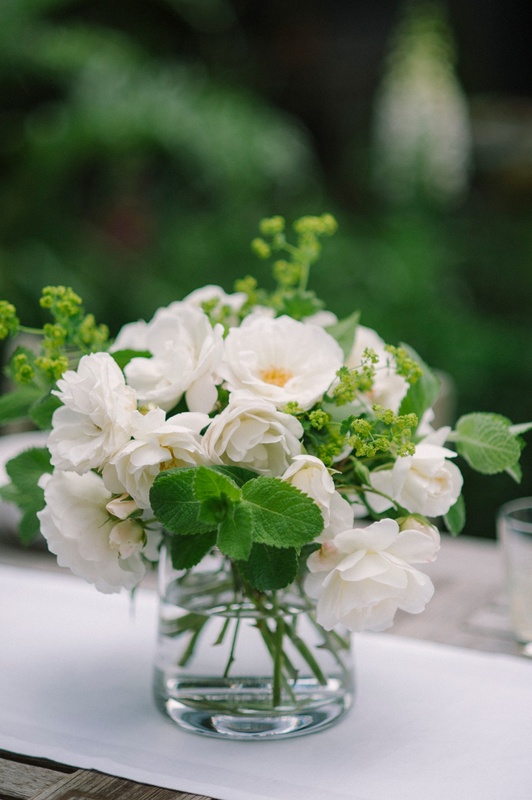 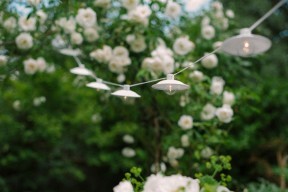 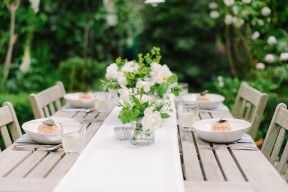 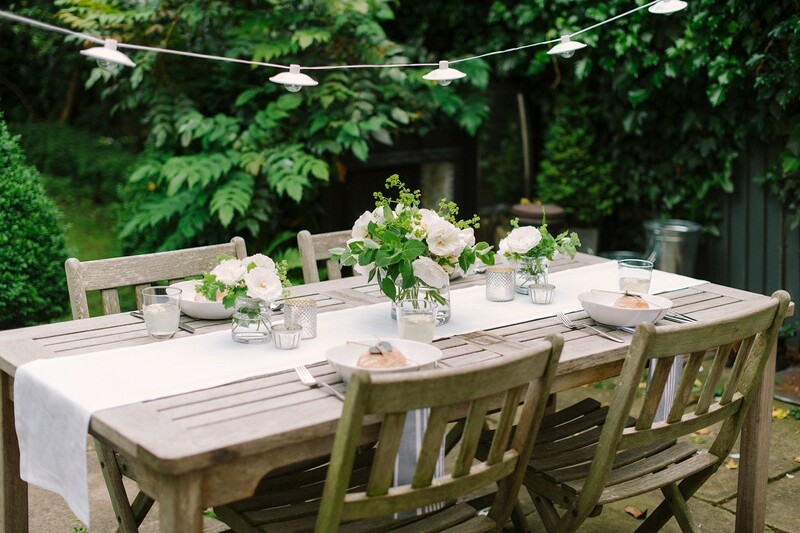 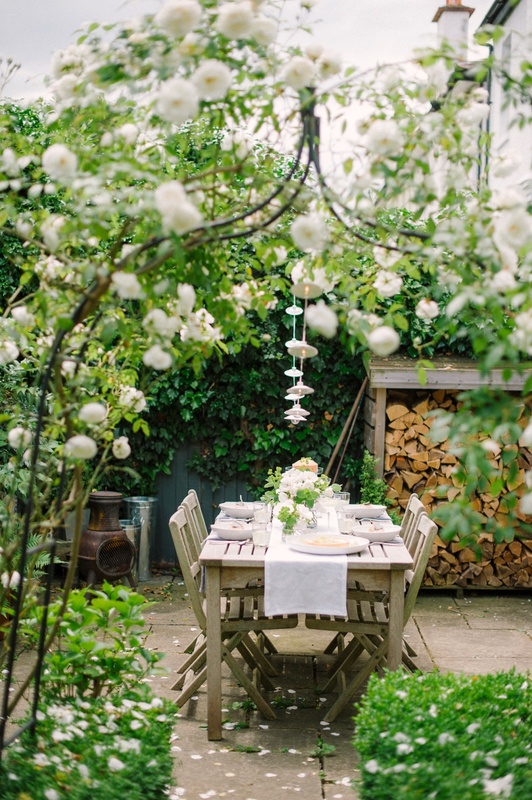 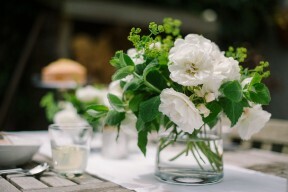 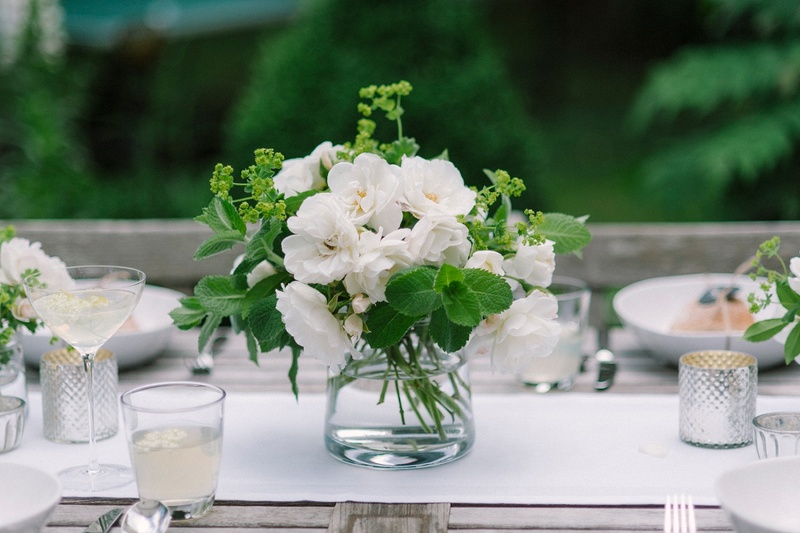 On my patio a climbing rose, filled with the most sweetly scented blooms, provided the starting point for my colour palette of simple, rustic and elegant white and green. 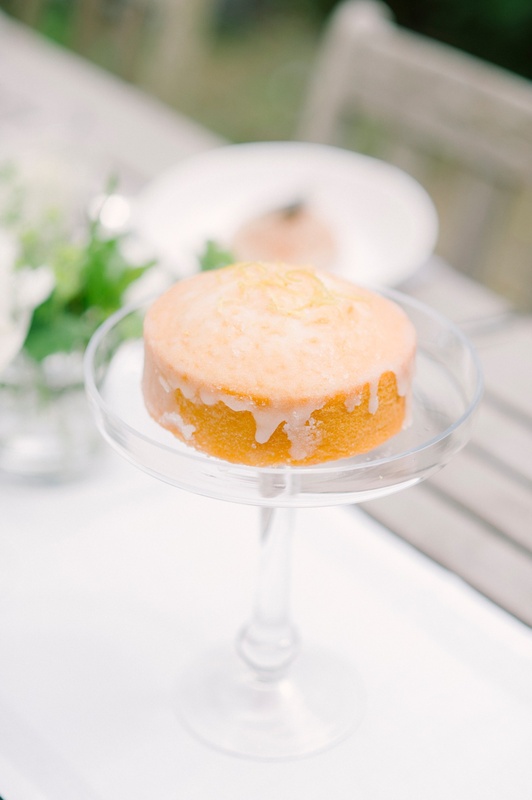 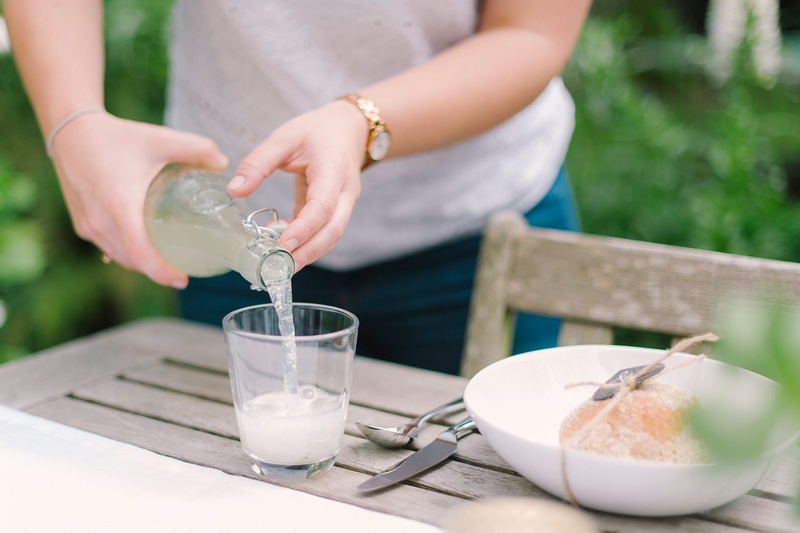 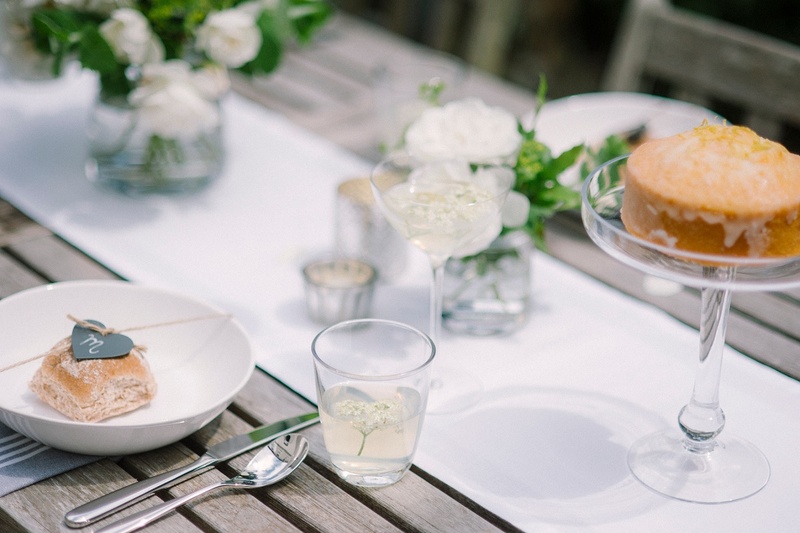 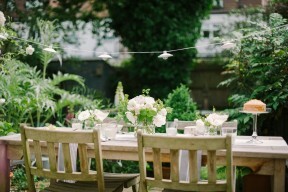 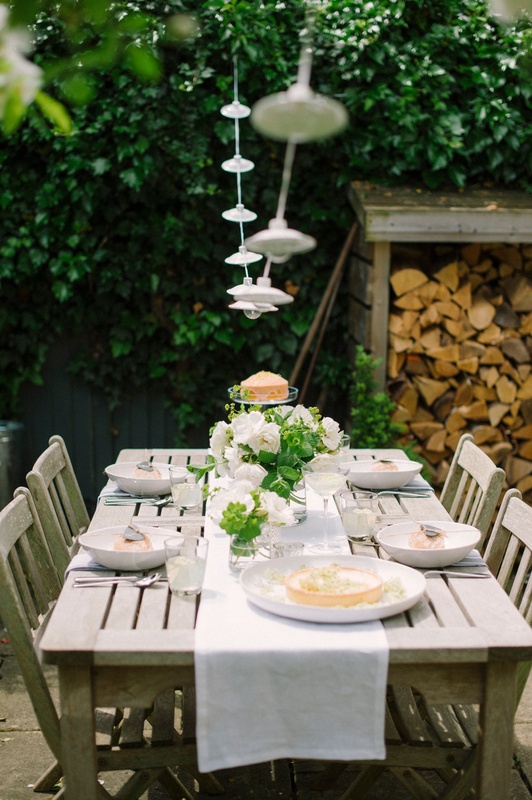 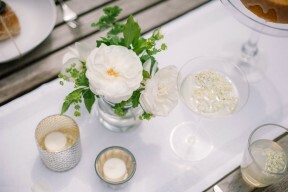 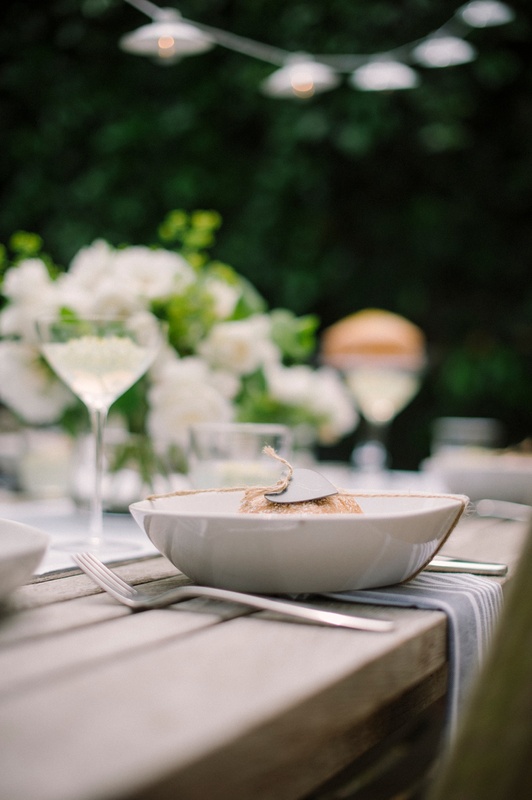 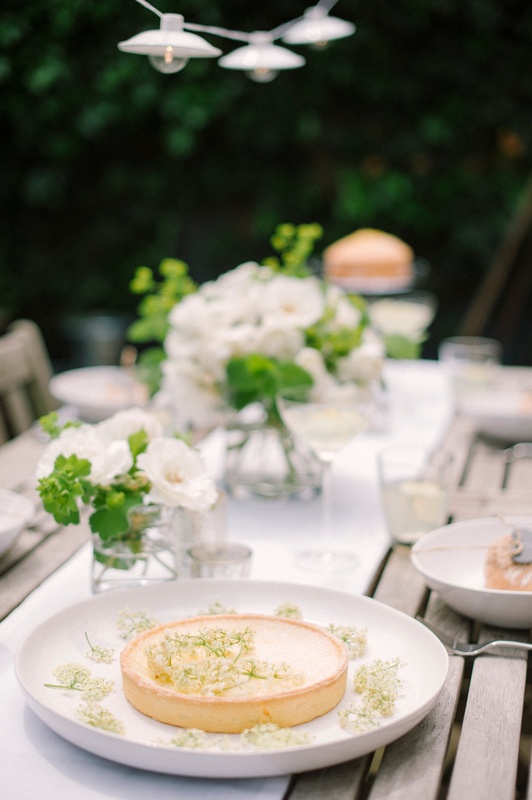 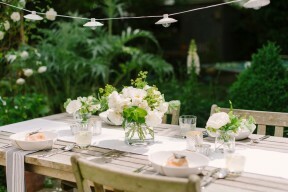 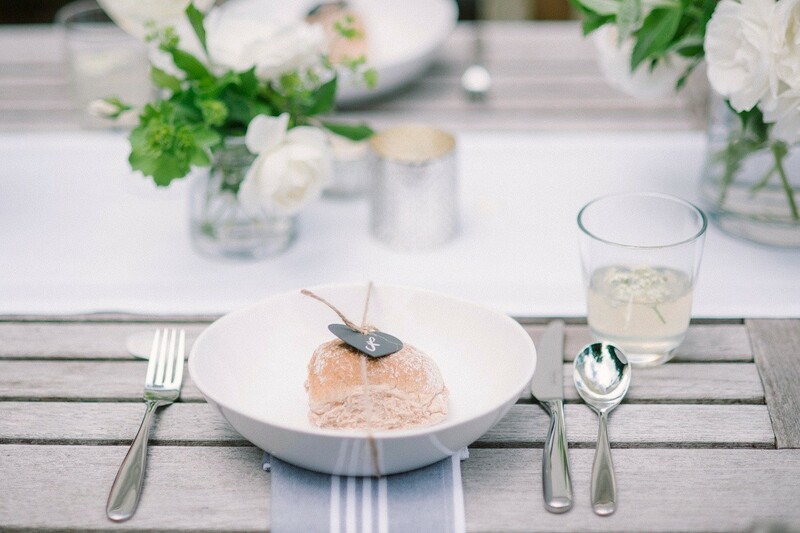 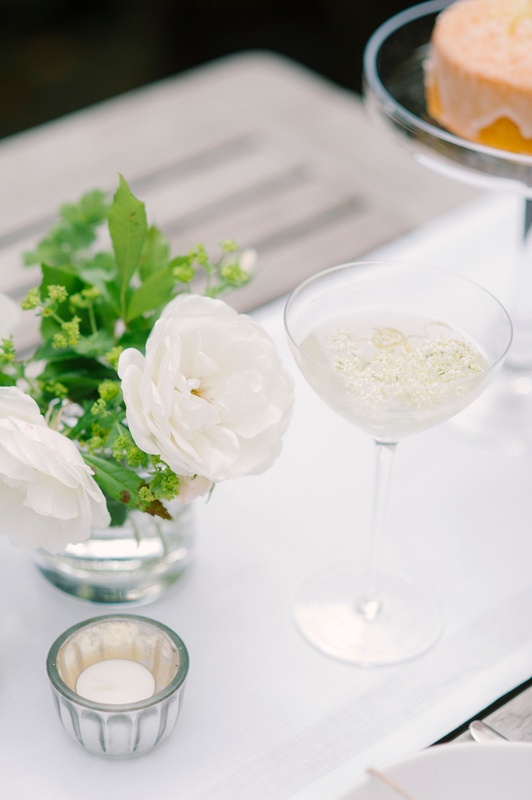 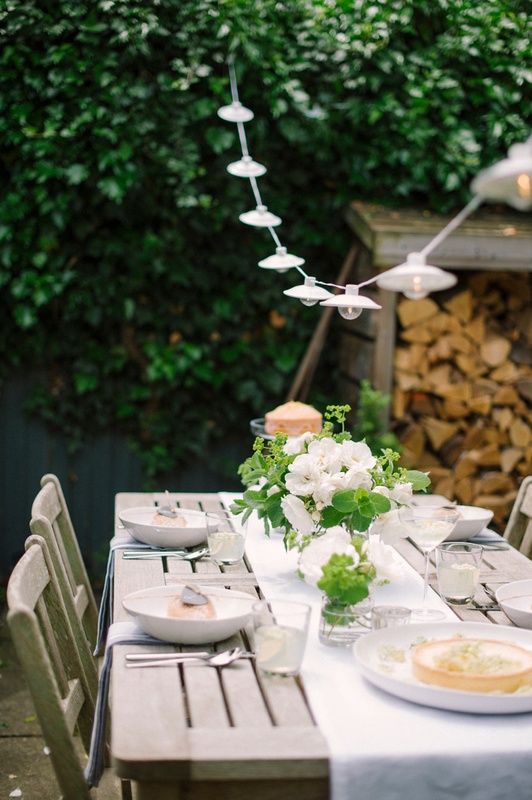 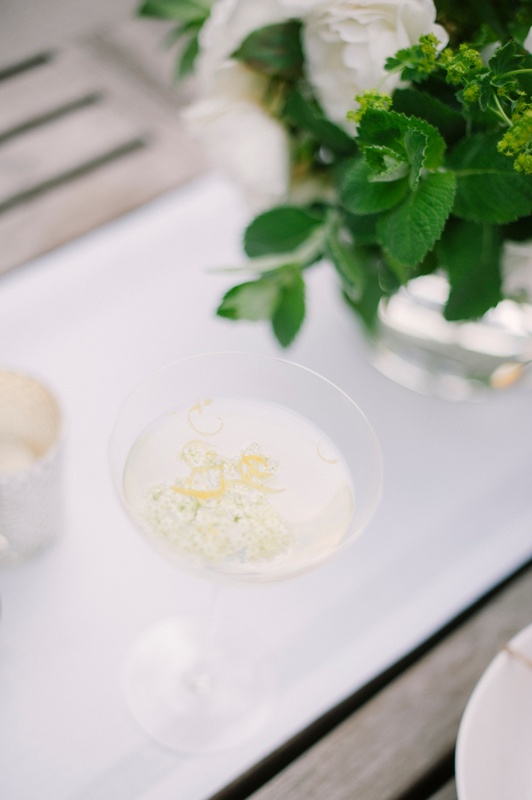 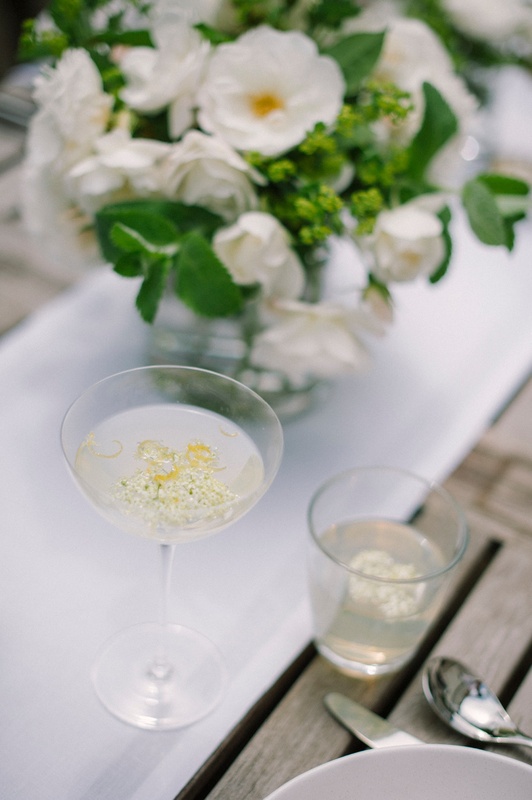 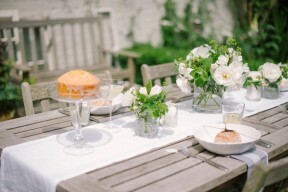 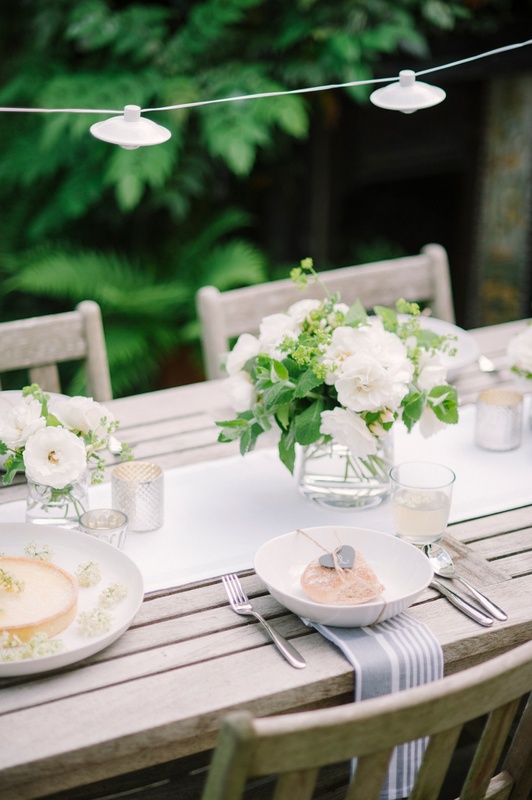 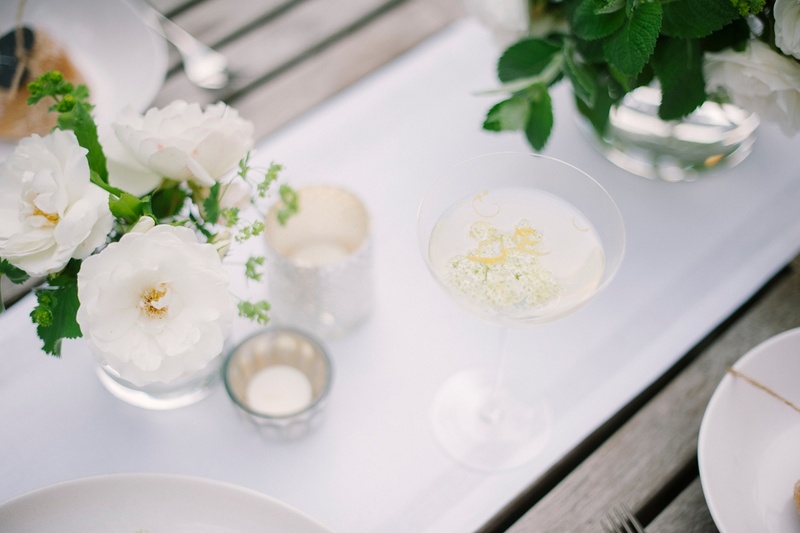 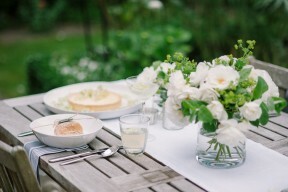 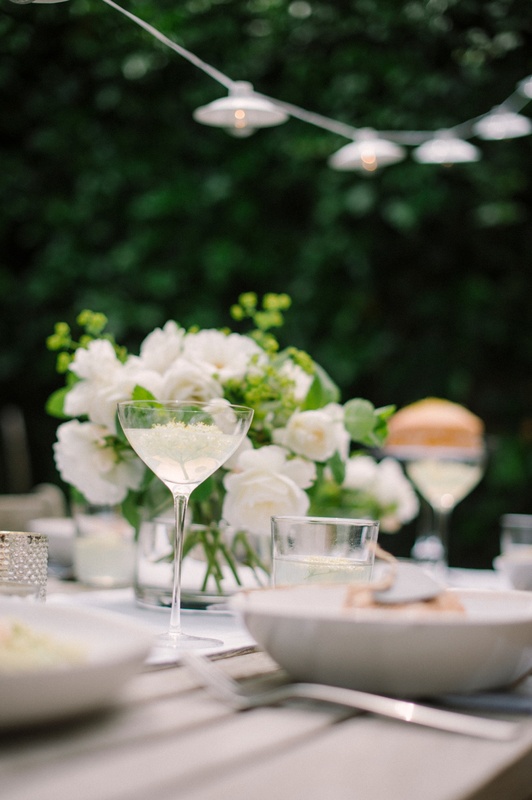 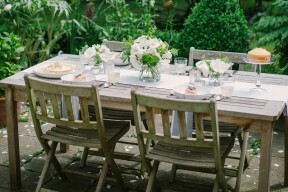 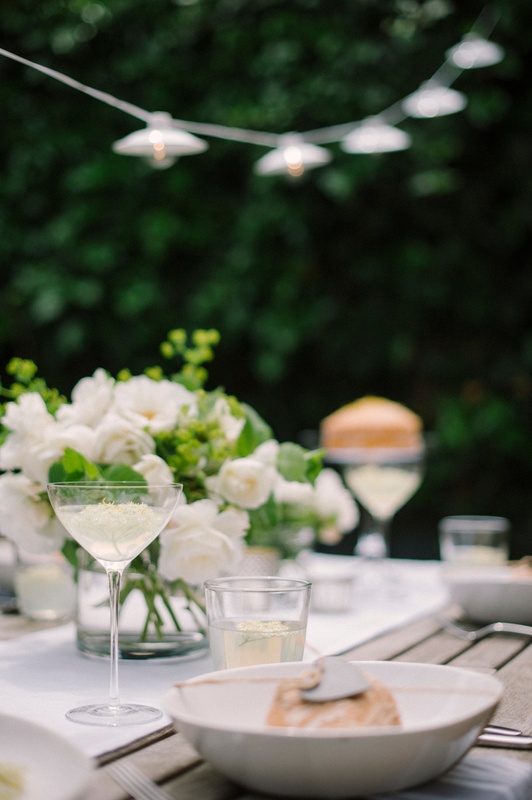 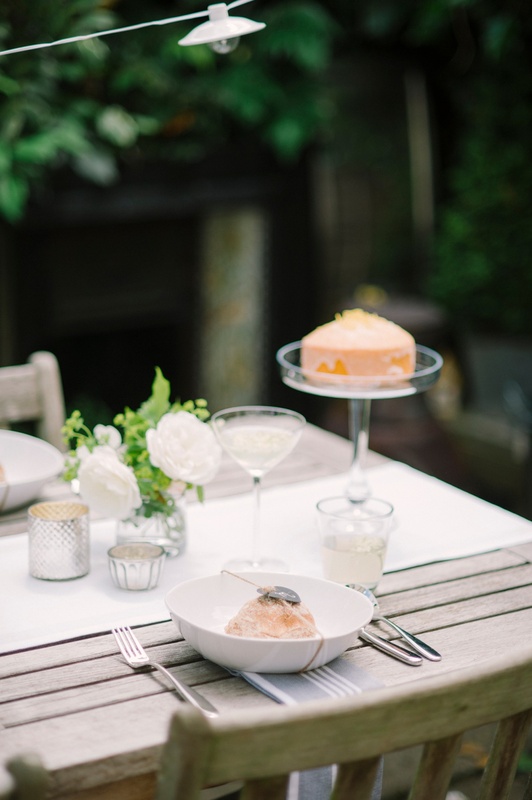 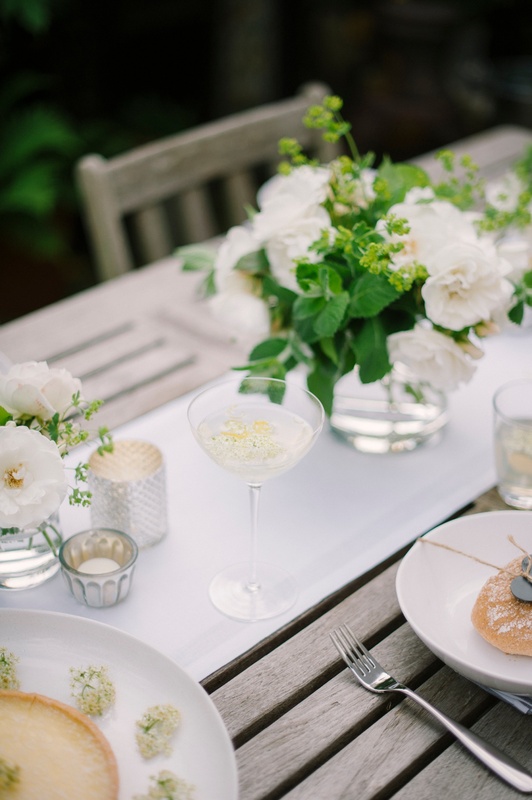 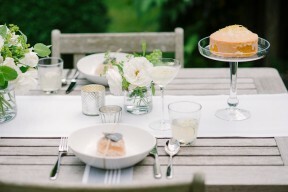 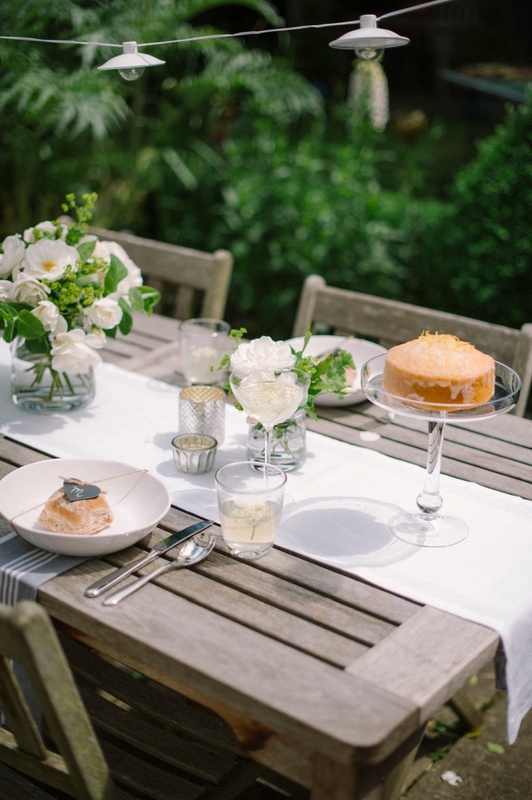 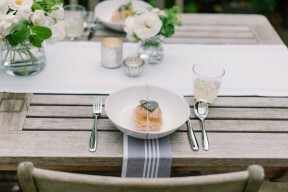 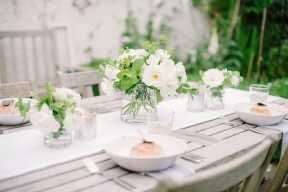 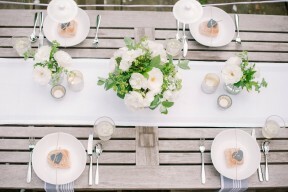 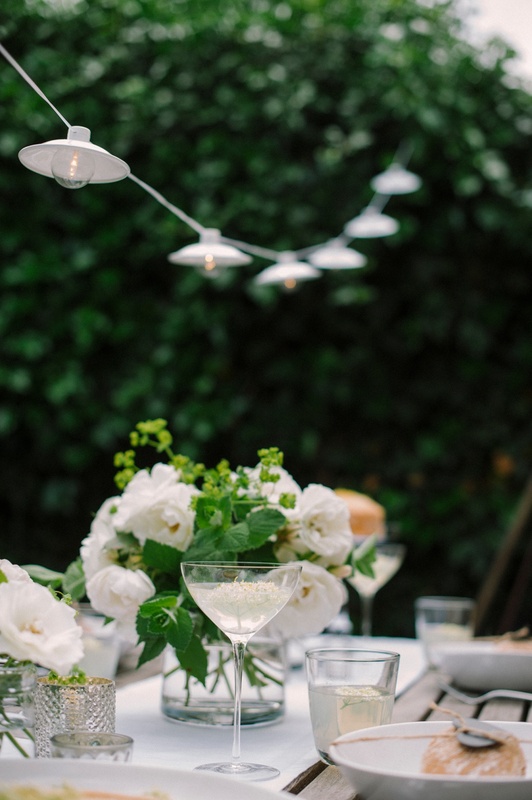 This also happens to be the perfect palette to accompany my favourite summer drink, a gin and elderflower cocktail, so alongside the white and green I brought in a few pops of yellow and lime – all perfectly set off by a wooden table and soft grey patio backdrop. 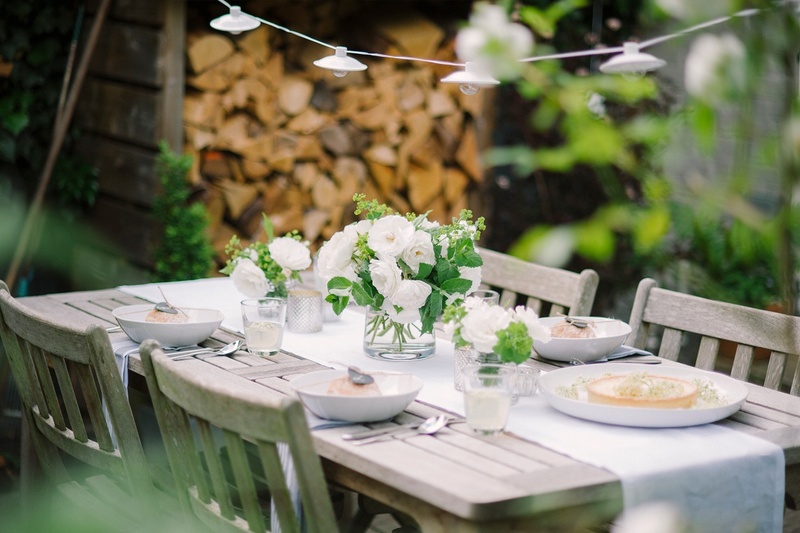 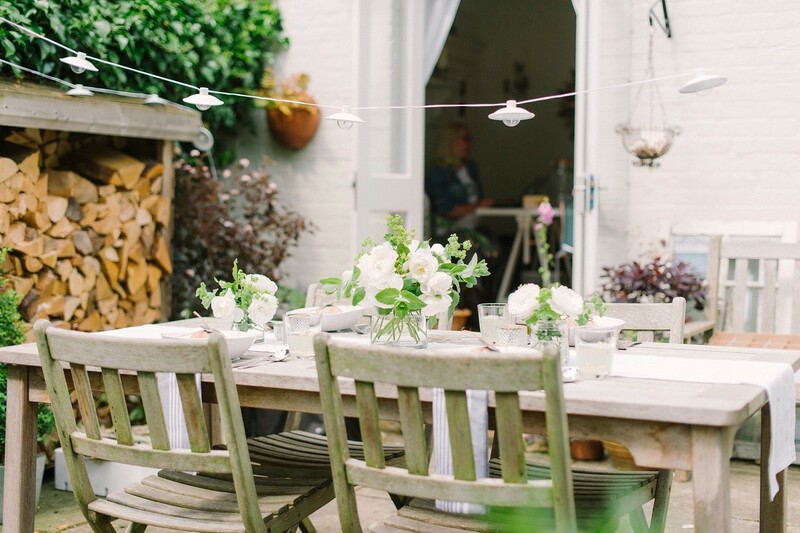 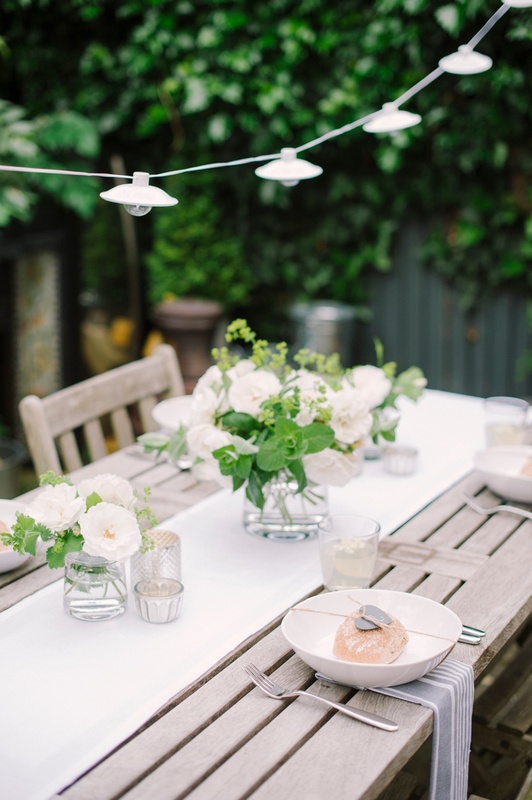 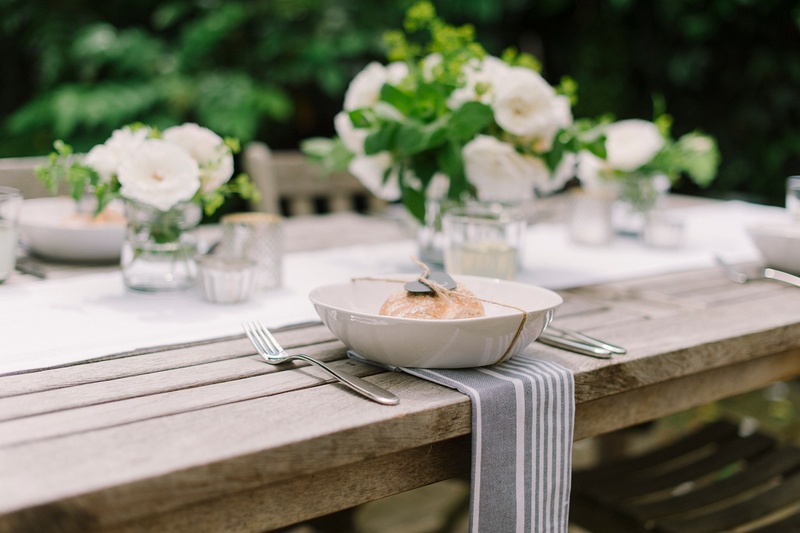 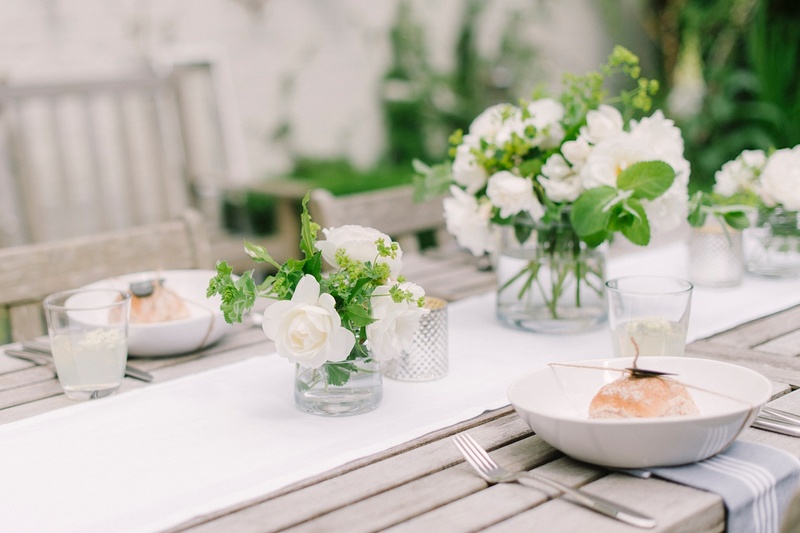 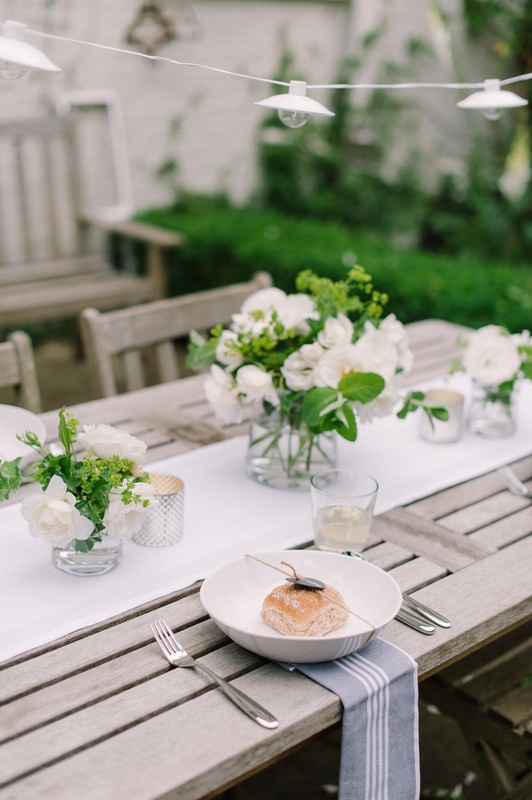 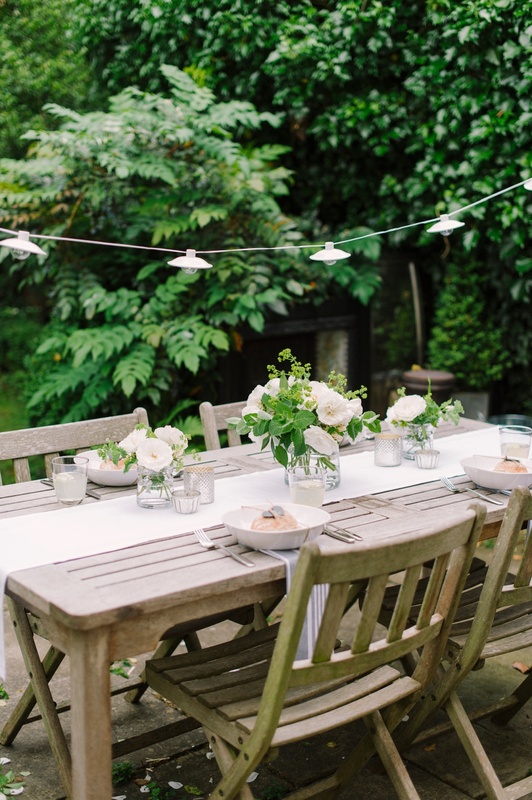 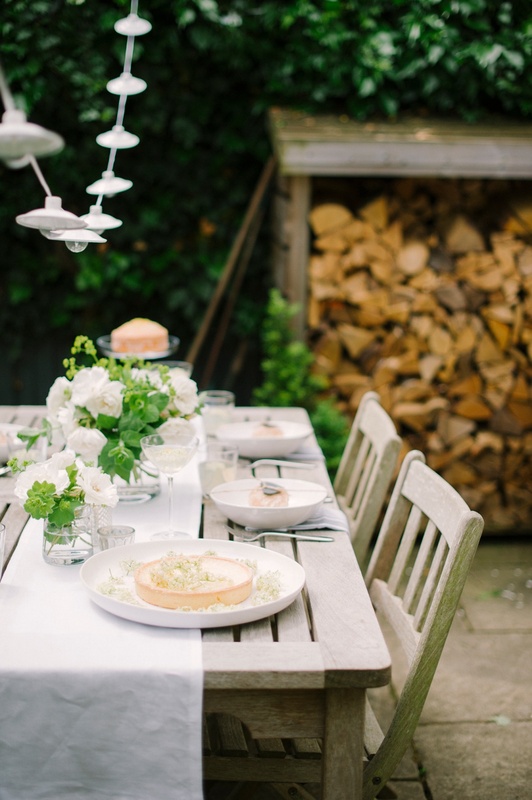 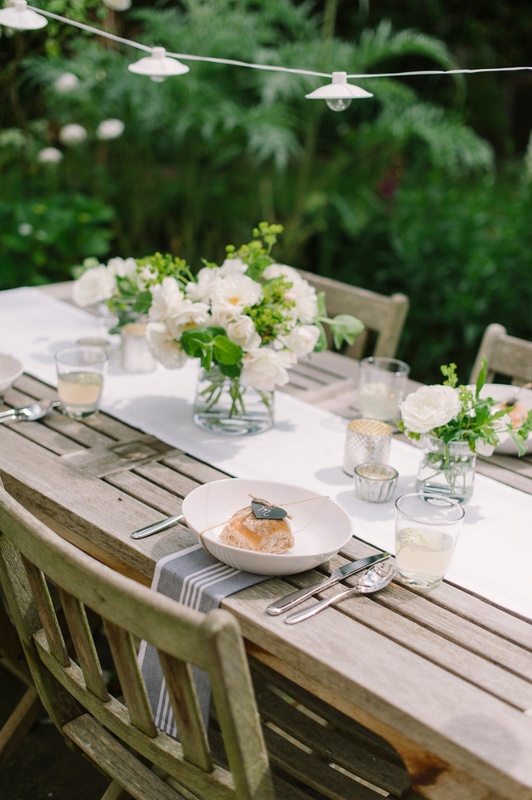 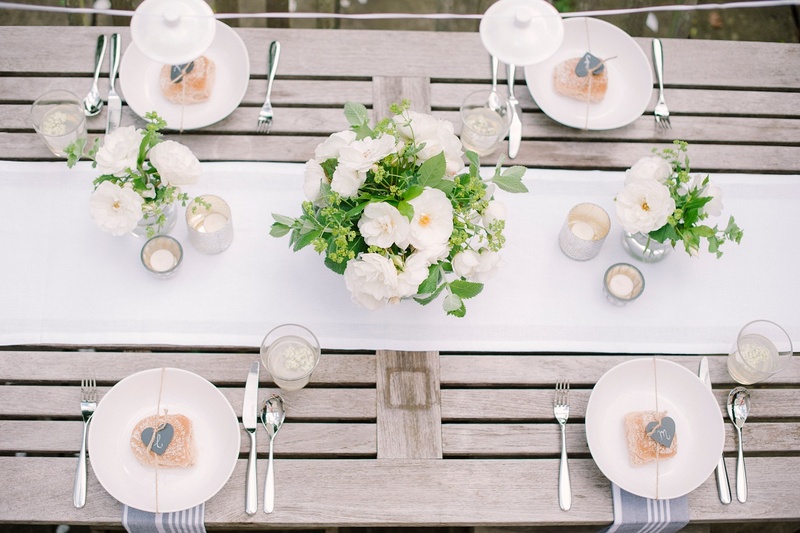 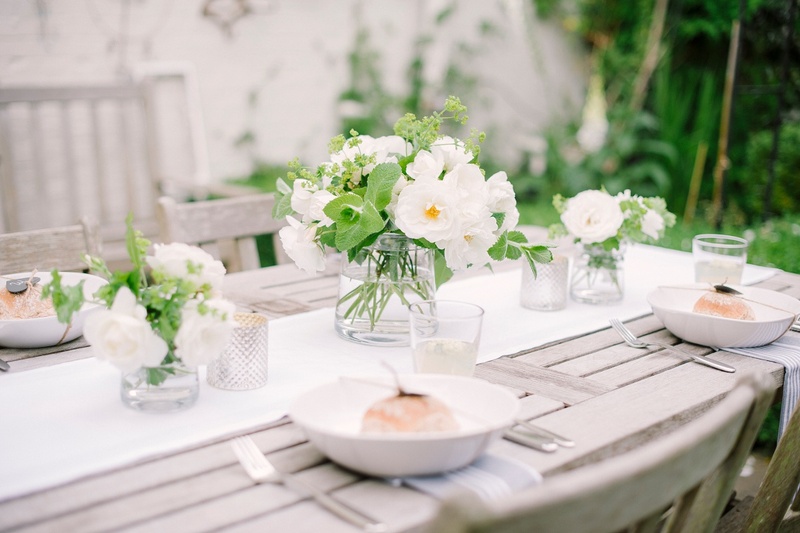 In keeping with this pale palette, I layered the table with my favourite The White Company pieces choosing their Vintage Washed White Linen Runner (now £14) to add an informal elegance to the bare wood table. 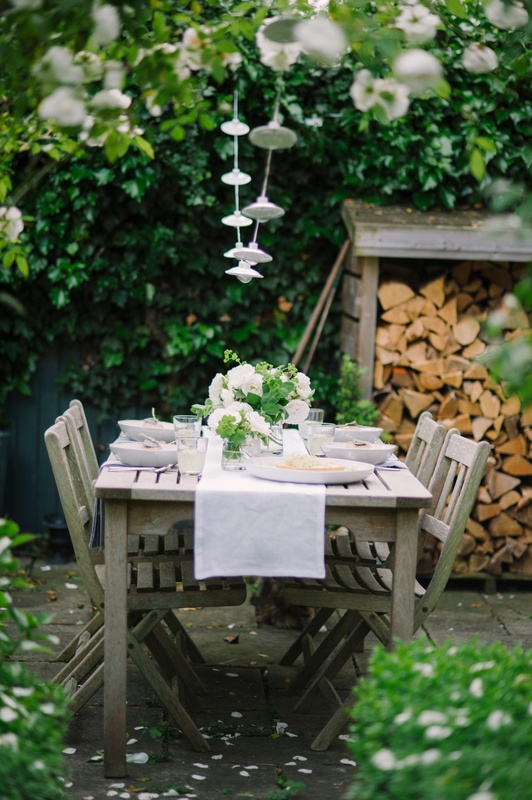 On top of this I added Artisan Stoneware Pasta Bowls (£12 each) with Elgin glass tumblers (£5 each), the chunky feel of both make them a great choice in the garden. 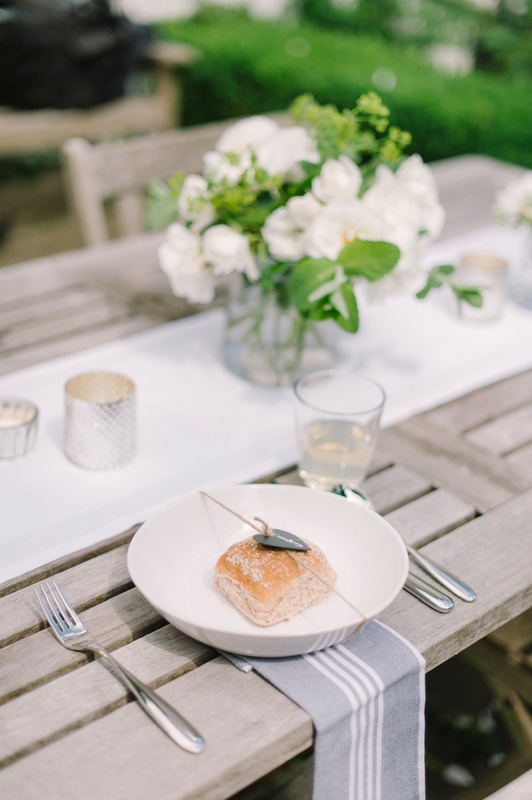 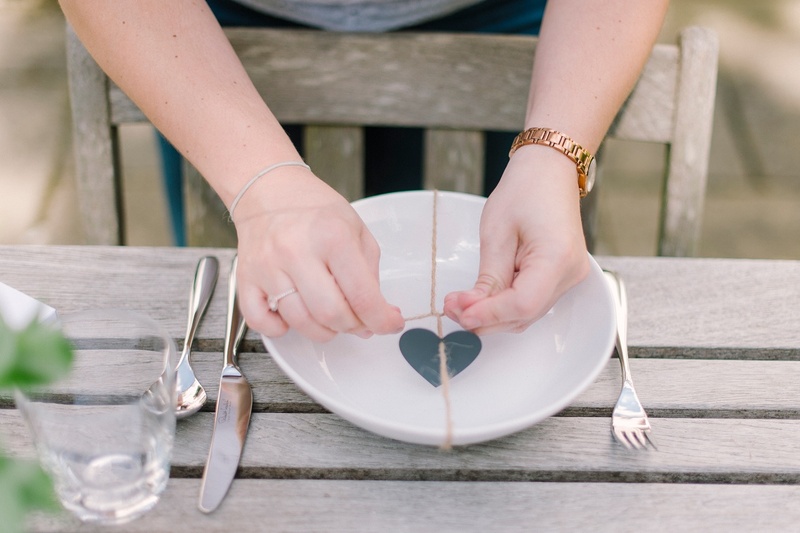 On top of this I added depth using Henley Napkins (£20 for 4) in deep grey with a white stripe, and a personal touch using Slate Heart Napkin Ties (now £9 for 6) with each guests monogram. 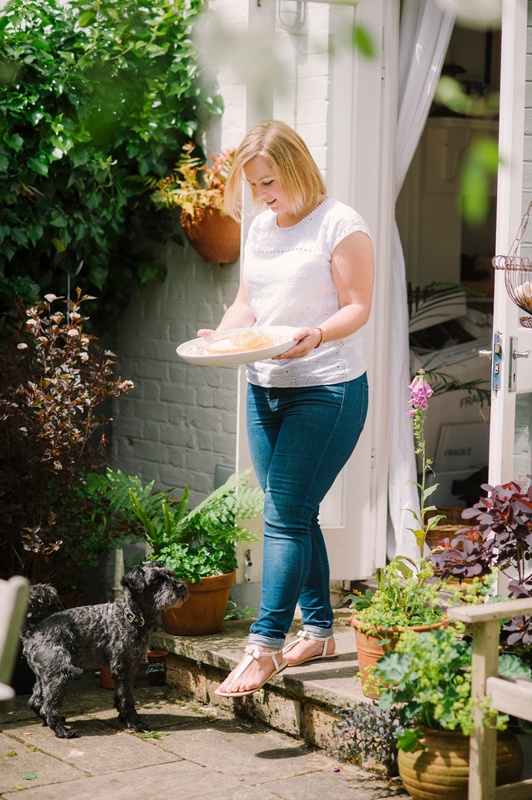 Finally a bread roll at each setting will save you a task when your guests sit down to eat and taking care of the hunger pangs whilst you’re busy preparing your feast (or another jug of cocktails)! 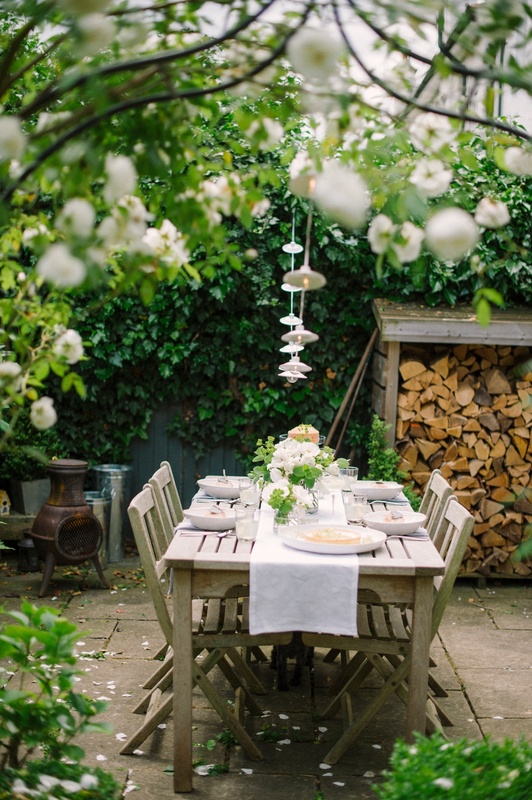 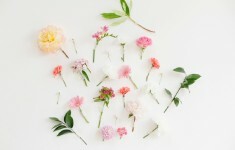 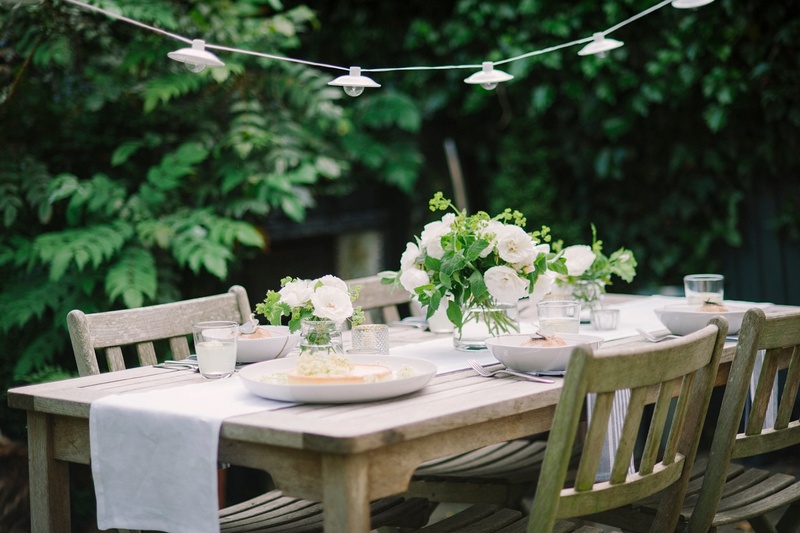 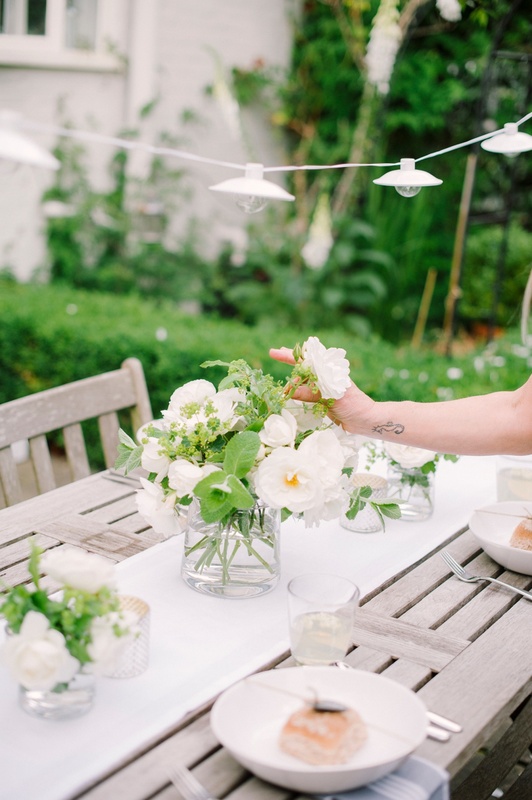 While your garden is in full bloom, it’s the perfect time to borrow from nature, and bring some of your home-grown flowers into your decor. 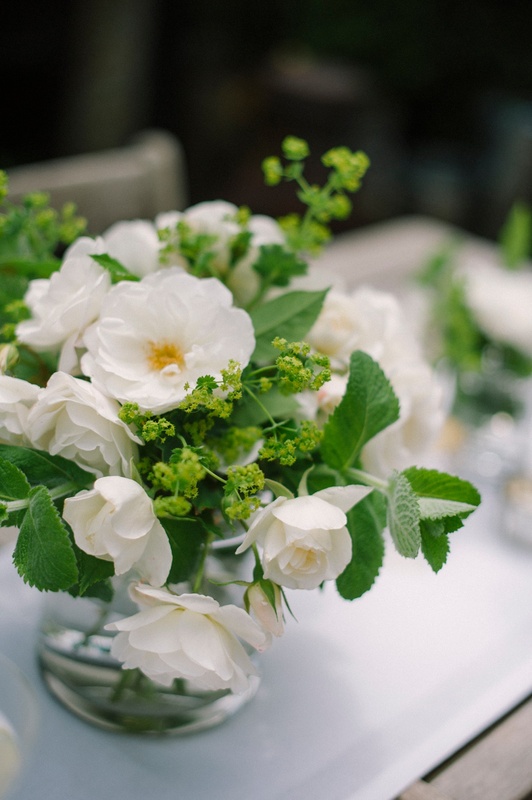 The roses which provided my colour palette inspiration became the perfect addition to the table top, combined with fresh herbs and wildflowers, and displayed small and large Danvers vases (now £16 and £24). 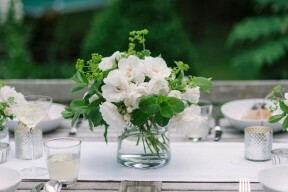 Chunky and tactile, I love the hand-rolled lip of this vase and it lends itself beautifully to this kind of styling. 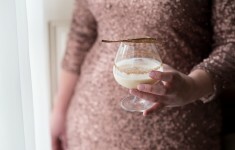 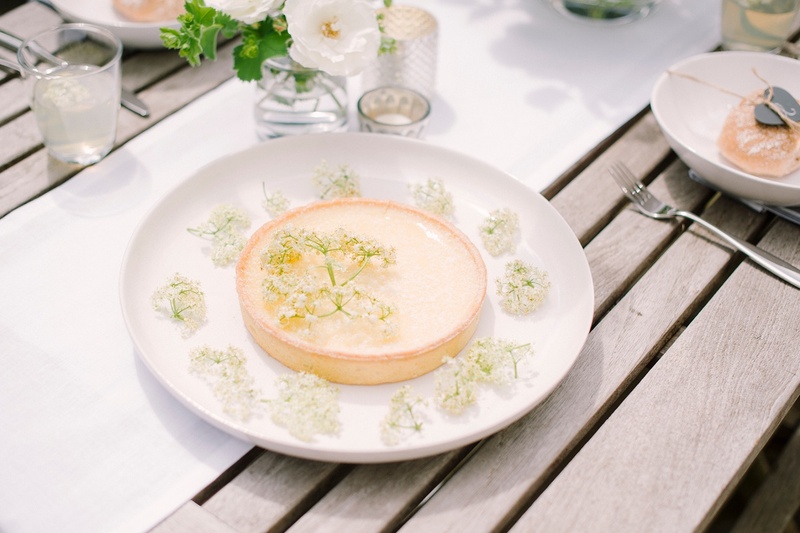 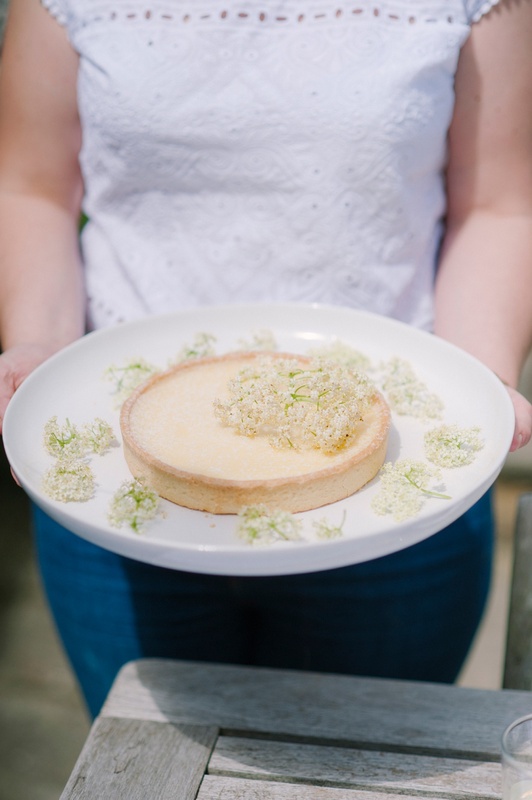 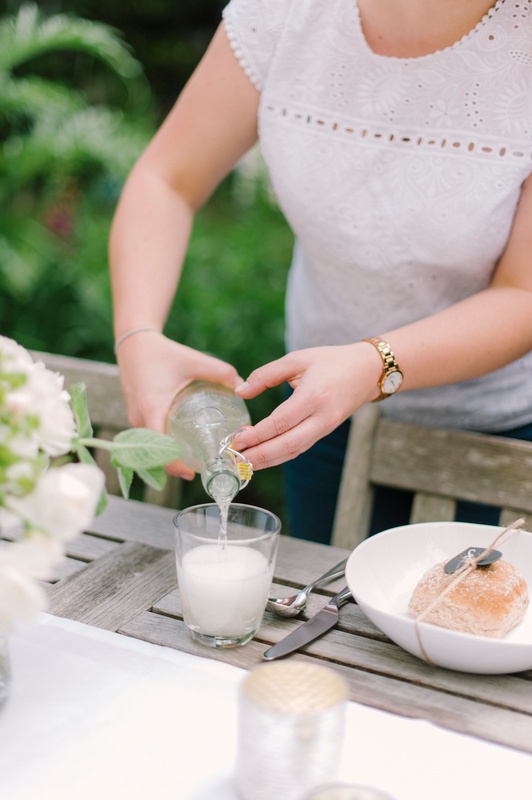 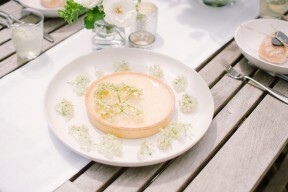 In keeping with the elderflower theme, I kept a few pieces aside and used them to decorate the drinks and food that I would be serving, adding a freshness and amazing scent to the dishes as they came out onto the table. As long summer days fade to balmy nights, it’s nice to make the most of being able to sit outside. 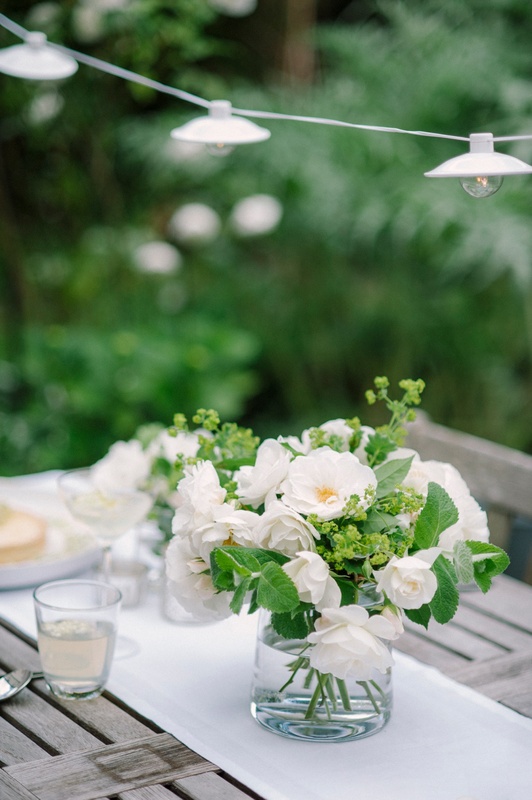 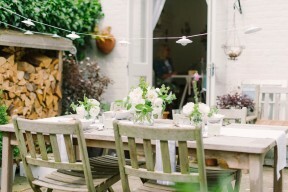 These Enamel Alfresco Lights (now £35) add just the right amount of light over the table as the sun goes down. 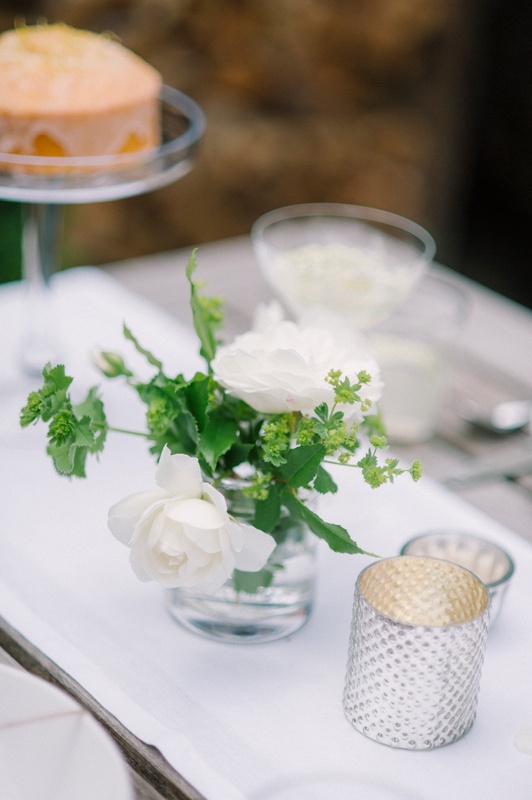 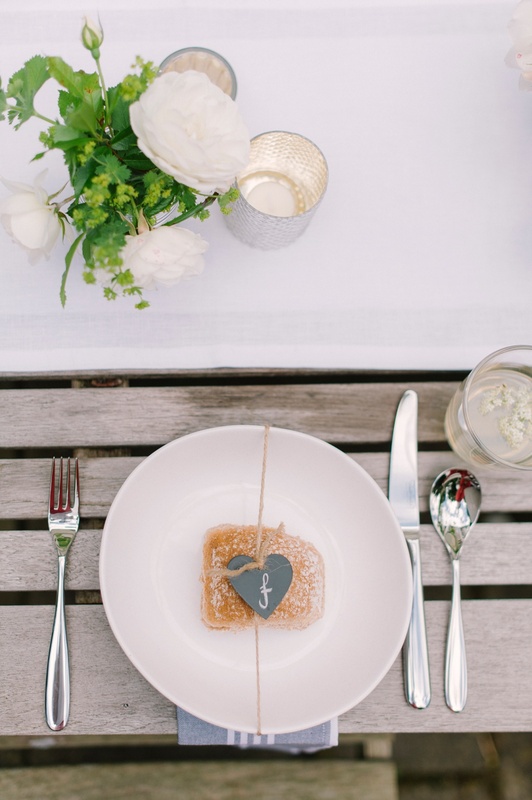 To boost the light at table level Mercury Glass Tealight Holders (now £12.60 for a set of 3) add a warm and inviting glow to boost the ambience and twinkle off glassware as your guests toast to a beautiful evening.